Travel Tips Peacock Bass Association with fishing trips to the Amazon for peacock bass anglers. Security Tips for Peacock Chasers ... 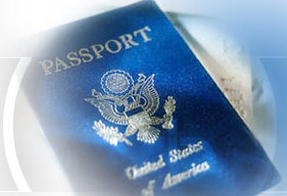 The U.S. State Department (http://travel.state.gov) offers the following 10 security tips. Make sure you have a signed, valid passport and visa, if required. Also, before you go, fill in the emergency information page of your passport! .Read the Consular Information Sheets (and Public Announcements or Travel Warnings, if applicable) for the countries you plan to visit. Prior to your departure, you can register with the nearest U.S. embassy or consulate through the State Department's travel registration website. Registration will make your presence and whereabouts known in case it is necessary to contact you in an emergency. In order to avoid violating local laws, deal only with authorized agents when you exchange money or purchase expensive items.